KarrenJ - Stamping Stuff: Oh Baby! 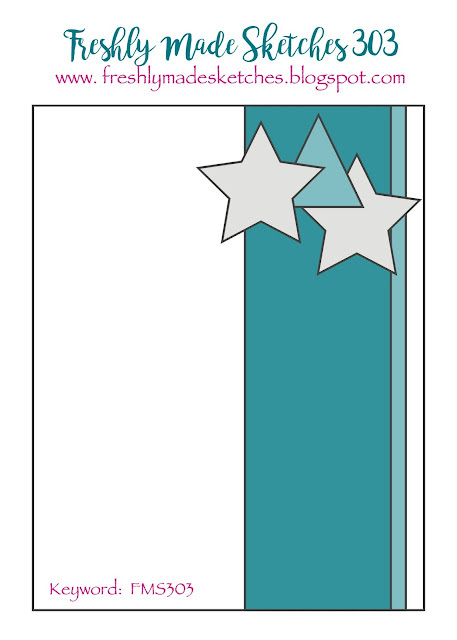 The gingham paper was white embossed with the "congrats" and then adhered to the inside of the card base so that it is visible through the acetate. In keeping with the sketch, I added a thin strip of green cardstock down the right hand side of the acetate. Here's a photo of the card standing up so you can get an idea of how the patterned paper and acetate work. Thanks for visiting! Head on over and check out how the rest of the design team have used my sketch. You'll be so glad you did! I love the cool effect that the acetate provides! And I loved working with this fun sketch. Cute card, Karren! Just love your card, Karren. So creative. BTW I also loved the dogs in the window card you did the other day. So glad to read your posts! Fabulous card! Love the acetate! Great sketch! I like the acetate too! Great effect! And a for the stringless balloons......I say they have been set free as part of the celebration! Fun sketch! Oh, I didn't realize that the vertical layer was actually acetate giving us a peek into the inside of the card! Cool idea! I love these bright colors, especially combined with the soft gray gingham. This window card is amazing!! So perfect for your sketch....which is fabulous, btw. Such fun colors! Not even joking, this card is the cutest! 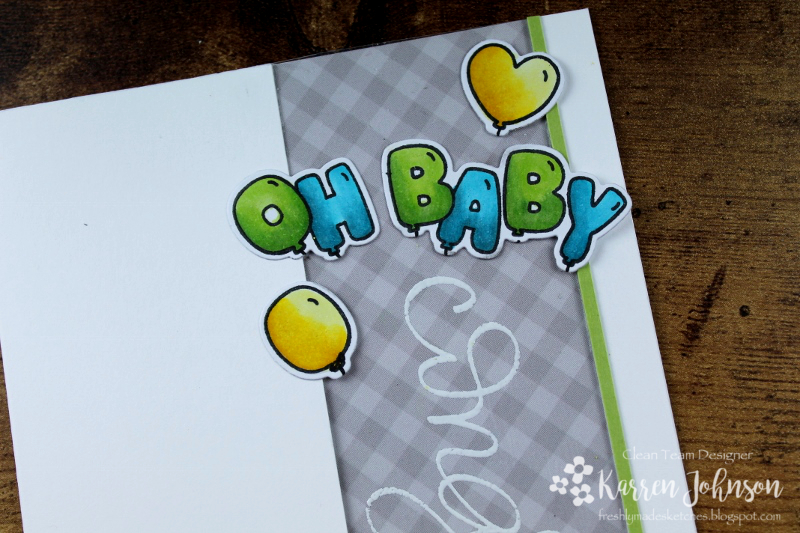 The colours you've used are so sweet for a baby card and I love your little "oh baby" sentiment and balloons! Love it! I could have sworn I left a comment on this adorable card...I love all the balloons and your gray plaid panel is the perfect backdrop for your design! As always, you did an amazing job on the sketch, Karren!